Agricultural processes plays an important role in the stage of processing and storage of products. 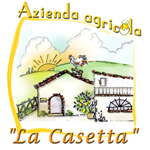 Taking into account the constraints imposed by the various laws governing the processing of agricultural product La Casetta has developed a laboratory model of functional requirements to prorie. Here is born the farm multipurpose laboratory. In it is possible to transform various types of products provided in times clearly distinct and after appropriate cleaning and disinfection between a working and the other. The laboratory consists of several distinct rooms, each devoted to a specific function: the processing room, bathroom with dressing room, goods receipt, and storage. All rooms were regularly inspected and approved by the local health authority (ASUR ZT12) and all the processes are thoroughly described in a plan called HACCP (Hazard Analysis and Critical Control Points). All of that is translates into healthy quality products. So, the products are free of dangerous contaminants harmful to the preservation and, sometimes, to the health of the final consumer. The works range from the packaging of cereals and legumes to drying vegetables and herbs, from decanting and bottling of extra virgin olive oil to the production of canned food.